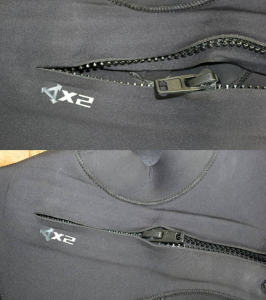 Wetsuit Zip Repair – Broken the zip on your wetsuit? In need of a wetsuit zip repair? Chest zip or back zip – Bodyline Wetsuits can repair or replace your broken wetsuit zip no problem. Replacing the zip slider is the most straightforward wetsuit zip repair and costs £10-20. At Bodyline Wetsuits we should be able to turn this repair around the same day. 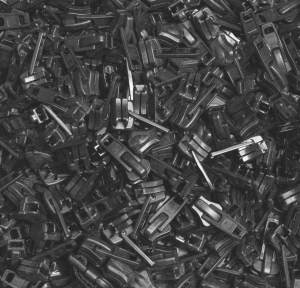 If teeth are missing or damage from your zip track, the only effective repair is to replace the zip. In some instances we may be able to replace 1 side of the zip track, reducing the cost of repair. In cases where this is not possible, Bodyline Wetsuits can replace the whole zip. Wetsuit Zip Repair or Replacements cost between £25-60. 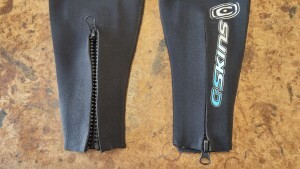 As well as wetsuit zip repairs, we can also fit zips to wetsuits. Whether it is zips fitted into the arms and legs of a wetsuit to make it easier to put on and take off your wetsuits, or a ‘relief’/pee zip fitted to a sailor’s wetsuit. With over 40 year’s of experience, Bodyline Wetsuits can repair or replace zips on all the leading surfing wetsuit brands, including Billabong, C-Skins, Finisterre, Mystic, O’Neill, Patagonia, Quiksilver, Rip Curl, Vissla and Xcel.